Originally introduced in 1965, the Renard Model 41 bassoon's long bore design can be identified by its very warm "round" tone, with even balance and excellent intonation throughout the entire range. 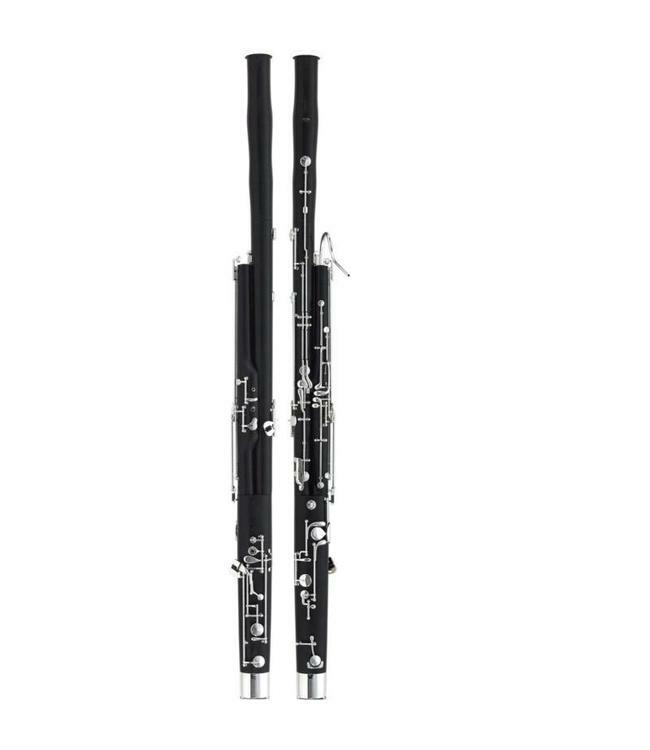 The reasonable price, the secure acoustical design (and the intonation guarantee that come with it), along with the durable body, make this a very popular choice for school music programs and beginning bassoonists. Body : Polypropylene, molded with critical dimensions machine finished. Body lock. Mechanism : Nickel silver keys with nickel plating. Full German system. Plateau key on wing joint third finger hole. Rollers on F, Ab, Eb, and Db. Metal tubes extending into the bore in the finger holes of the wing joint to prevent water from entering the tone holes. All posts set in epoxy and spring posts are locked with screws. Intonation : Individually hand tuned to A-440 pitch with maximum resonance and projection. Bocals : Numbers 1 and 2, C Bore. Accessories : Fine plush-lined case, 2 reeds, seat strap, crutch, 2 drop swabs. Repair/Warranty Policy : Within one year, the instrument may be returned to the factory for fine tuning, acoustical adjustment, and mechanical servicing, with costs limited to freight and parts.